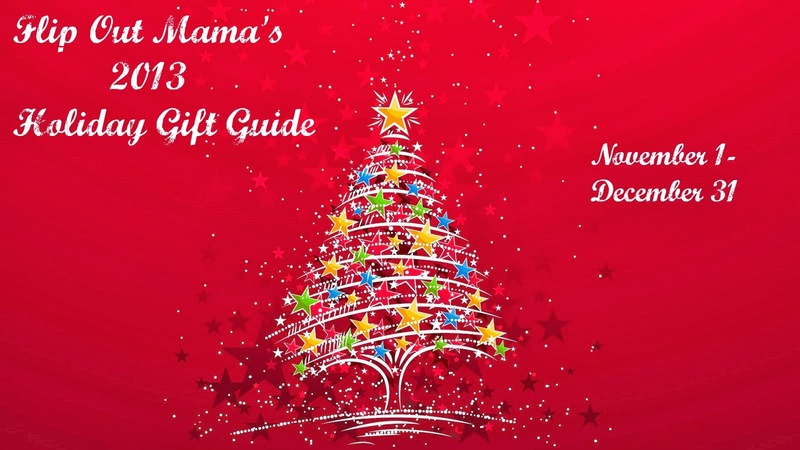 Flip Out Mama: Stocking Stuffer Roundup! You guys already know how obsessed I am with stocking stuffers, they are seriously my favorite part of Christmas! I love that you can get creative with stocking stuffers, throwing things in there that are super unexpected and sometimes a little wacky. I love to individually wrap stocking stuffers too! It just really adds to the whole surprise atmosphere, and prolongs the gift opening, which I love. I have even been known to wrap up stocking stuffers and hide them in the tree! Sometimes we don't even find them until we are taking the tree back down! Here are a few of my top picks for awesome stocking stuffers this week! Check back next week for even more! First up, we have noya lip balms! I love lip balms! I am not a lip gloss or lipstick kind of gal! I am a little bit obsessed with lip balms, and I kind of collect them! Introducing noya! New, all natural, and kosher, these lip balms are made with pure and simple ingredients like Olive Oil, Coconut oil, and Beeswax. Each balm is lightweight, yet packs a heavy amount of lasting hydration in, perfect for those of you who are particular about your puckers! They come in four scrumptious flavors: classic, vanilla, cherry and spearmint. 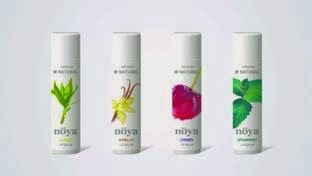 Grab your own noya lip balms at www.noyabeauty.com. Staying with my all time favorite theme of lip balms, I would also like to recommend Sun Bum Flavored Lip Balms! I love these so much, and they come in six wonderful flavors! In the colder seasons it’s easy to forget that your lip moisturizer should still protect you from the sun. Sun Bum Flavored Lip Balms have SPF 30 to keep you safe from UV rays and dryness. They come in 6 delectable flavors: Key Lime, Coconut, Pink Guava, Mango, Pomegranate and the original Banana. Who knew sun care could be so yummy? You can purchase Sun Bum at www.trustthebum.com. Next up we have Streekers temporary hair color! This stuff is SO cute! I think I am a little past the "dye my hair crazy colors" phase, but I am stuffing all of my niece's stockings with this stuff! They are gonna be so excited! Temporary real hair color, Streekers make the perfect accent on any costume! Easy to apply and brush-able, the color stays on until you wash it out with shampoo. They come in 8 fun shades adding a pop of color at anytime. 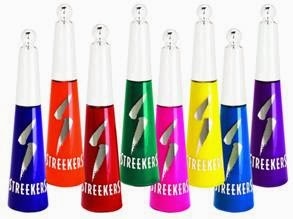 Check these out at streekers.com. Aren't these some great stocking stuffer ideas?!? I love them all! Check back next week for even more great stocking stuffer ideas! What is your favorite thing to put in Christmas stockings?? Leave us all some hints in the comments below! *I received products in order to facilitate this review. Although review products were received, all opinions, as always, are my own.